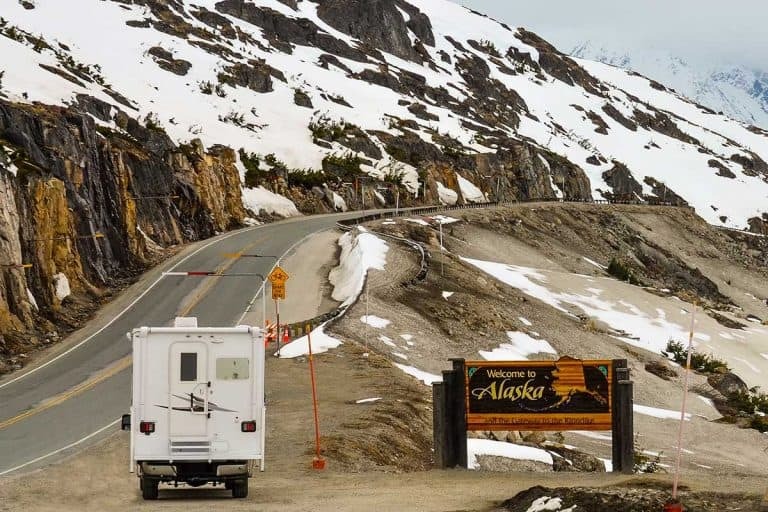 As you shop for the right RV, one of the decisions you’ll need to make is what kind of refrigerator is best for your camping needs. There are many options out there, and it’s easy to feel overwhelmed. Whether you should get a traditional RV fridge or a residential refrigerator is the question we’re going to help you answer here. 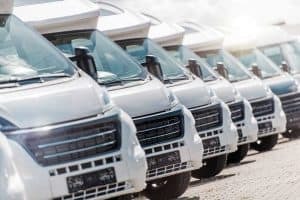 Our goal is to help you determine which type of refrigerator is the best for you and give you the confidence to move ahead with purchasing your RV. The RV refrigerator was the only kind of refrigerator you could get when you purchased a new RV until about 5-6 years ago. Although you can buy brand new RVs now with domestic refrigerators installed, the majority will still come with an RV Fridge. One example of an RV refrigerator is the Dometic Americana double door, 6 cubic feet refrigerator. The RV fridge uses absorption to cool the inside. There are no moving parts (like a compressor) to operate the RV fridge. It uses heat, and a combination of ammonia, hydrogen gas and water to move through tubes which cool the fridge down. The heat to power these cooling gases can be provided by two or three different power sources in an RV fridge. 2-way RV fridges use either AC power or LP gas to heat up the gases inside the tubes to cool your fridge. 2-way fridges are the most popular types of refrigerators sold in an RV today. 3-way fridges can run on AC power, DC power or LP gas. The 3-way fridge has the added ability to run off of a 12-volt battery, but are not as popular as the 2-way fridges. Traditional RV fridges offer 6-8 cubic feet of storage. 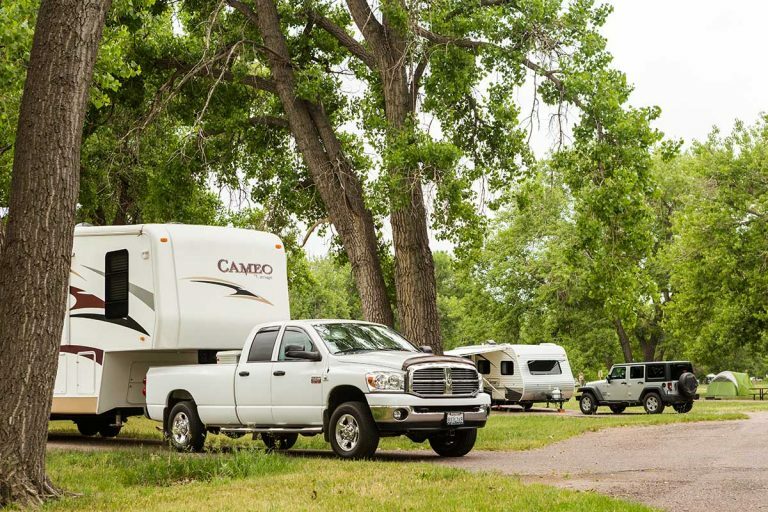 Travel trailers, Class B and Class C RVs are usually sold with smaller fridges. 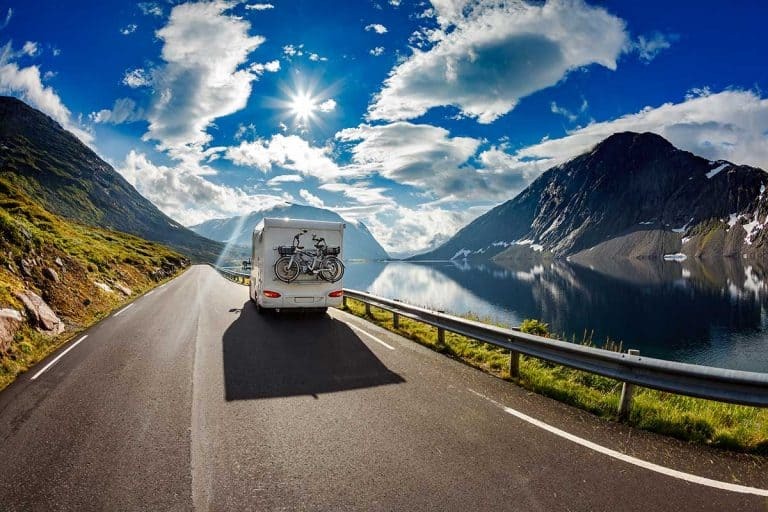 Today, larger 5th wheels and motorhomes boast larger and larger capacity in their RV fridges. Newer models have french doors and up to even 18 cubic feet of storage space. Check on manufacturer websites for their refrigerator specs. Ask dealers if there are any options to upgrade to a larger fridge if you feel you need the extra space. RV fridges are designed to use A/C power and if not connected to a power source, they use propane gas to keep the inside cool. On a mild day, RV fridges maintain a temperature just fine. On warmer days, the internal temperature of the fridge tends to creep up. However, there are some tricks to keeping the temperature down by packing the RV fridge correctly. RV fridges are made of very heavy materials and are specifically designed to move around. They don’t have compressors, so there are less moving parts to get loosened while in transit. Many RV owners report their RV fridges lasting them 10, 15 and even 20 years. 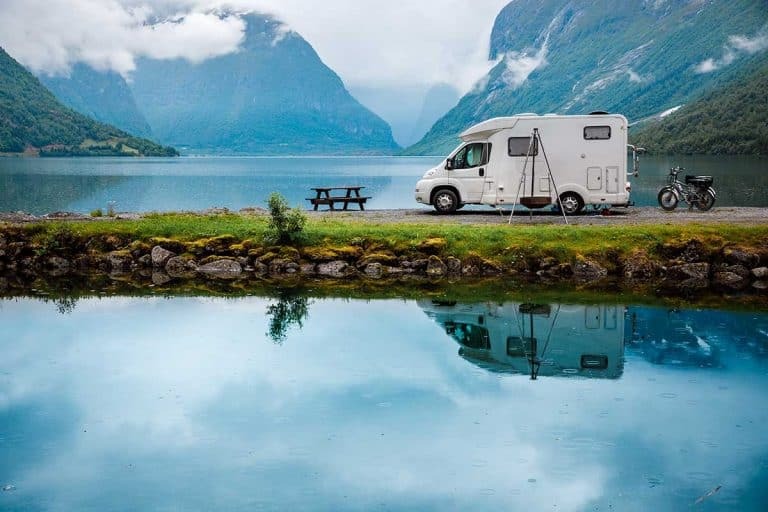 Some RV owners worry about the risk of running their refrigerator off of propane gas, as an accident could cause a gas leak or a fire to start. Most experts say that the risk is minimal, especially if your propane system is maintained regularly. The RV fridge is almost always going to come installed in your RV and will be included in the purchase price. However, if you want to buy a new RV fridge to install in an RV, they are not cheap. Norcold and Dometic brands are the leading RV fridge brands. Their refrigerator units start near $1200 and can go all the way up to $3000 depending on storage capacity and style. What type of camper is the RV fridge suited for? The RV fridge is good for families who plan to spend nights at a campground with electric hookups most of the time. Or, for campers who would occasionally like to dry camp, without investing in solar panels or a generator. RV fridges are also suited for people who do not need a large refrigerator capacity. Newer RV fridge models, however are setting the bar higher and higher for storage capacity. Generally speaking, RV fridges are great for RVers who are using their RV for shorter periods of time, not living fulltime in their rig. Over the past 5-6 years, RV companies have started selling RVs that have residential fridges already installed and ready to go. Here are some things to consider with a residential fridge inside an RV. A great example of a domestic refrigerator that can be used inside of an RV is the GE 18.6 cubic ft. with french doors. Domestic fridges use a compressor to cool down the insides and keep the temperatures low. The compressor requires a constant 120-volt AC power source. As mentioned above, a residential fridge needs 120-volt electricity. This is not a problem at campgrounds with a 50 Amp electric hookup. If campers with a residential fridge want to dry camp – aka boondock – for any length of time, an alternate power source is essential. New RVs that come with a residential fridge should also have an extra battery pack and an inverter installed. The inverter changes the 12-volt battery charge into 120-volt power that the refrigerator uses when the rig is unplugged. This allows for food to be kept cold while you’re driving down the road. Solar panels or generators are also power sources for a residential fridge when it’s unplugged. Owners will need to do their math and calculate exactly how much energy they need to produce to keep their refrigerator running. Then they need to purchase the energy source(s) that will meet their needs best. Residential fridges keep food consistently cool. The freezer also keeps frozen food solidly frozen. When not connected to a power source, it takes longer for residential fridges to warm up. They maintain their temperatures well. Generally speaking, they are much more efficient than the RV fridge. Residential fridges are not typically designed to withstand life on the road. All the bumping and jostling around will eventually take a toll on the residential fridge. There are more parts inside which increase the chance of malfunction. A residential fridge is made of less sturdy materials for long-term travel. The average lifespan of a residential refrigerator is between 8-15 years in a home. 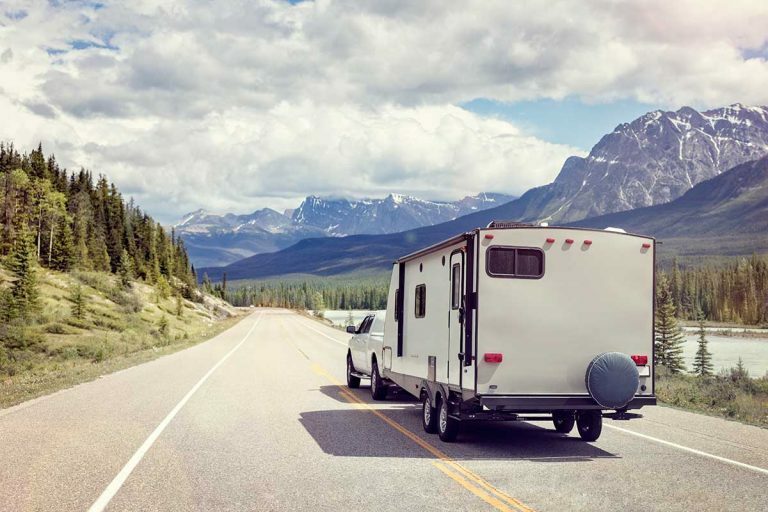 In an RV, it could be even less with all the moving around. The main concern with a residential refrigerator is that it is safely installed. Again, with a new RV, we assume that it has met safety requirements. If you are installing your own residential refrigerator be sure to take all safety precautions in securing it in its space. The second concern is that the doors are weighted so that they stay closed while the RV is moving. They should latch tightly and require a certain amount of force to open. You can purchase devices to fit onto the doors to keep them closed while in transit. If you are installing a residential fridge into your RV, the cost will depend on the size and style that you buy. 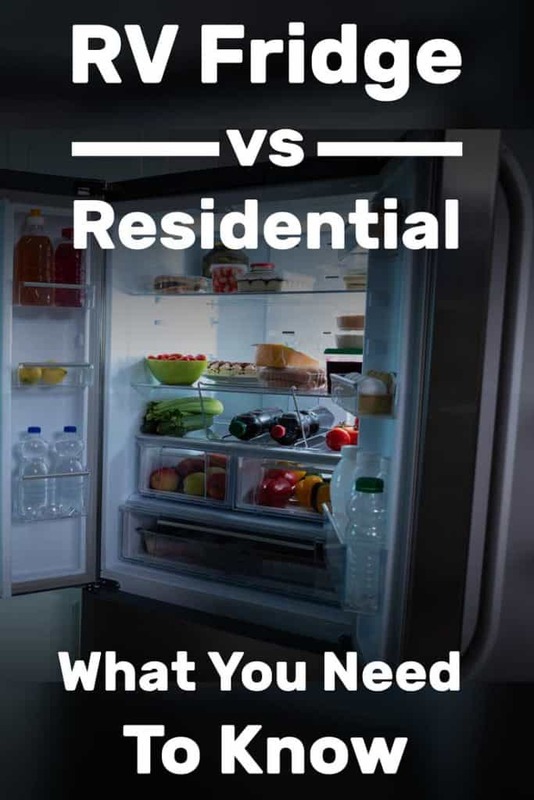 Shoulder to shoulder with the RV fridge, the residential will likely cost you less. There is simply more inventory for residential fridges and you can shop around for the price you want. Who is the residential fridge suited for? RV users who want to live in their RV for longer periods of time will want to consider a residential fridge. 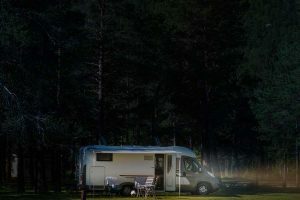 Campers who don’t mind putting in the initial investment of extra power sources (batteries, an inverter, a generator or solar panels) may also want a residential fridge. Finally, a residential fridge may be good for a large family who needs the extra space but is planning only to camp at places where they have full electrical hookups. Based on what we’ve shared so far, here is a summary of the pros and cons of both the RV fridge and the residential fridge. If you’re shopping for a new RV, and you know that you want a domestic fridge in your RV, then don’t buy a rig with an RV fridge. Instead, buy one that offers a residential fridge. There are increasingly more options at dealerships to drive off the lot with a residential fridge already built-in. This will save you time and effort down the road trying to replace a refrigerator. You’ll also have the peace of mind knowing that the manufacturer has installed the extra battery, inverter and any other accessories needed to support the constant electricity for your fridge. Should I replace my RV fridge with a residential fridge? If you’ve been using an RV fridge that isn’t meeting your needs anymore, it might be time to change to a residential fridge. Do your research well and decide if it’s a job you can handle on your own. There might be a professional who can help you with the process. It is a long process too. You may have to take apart or rebuild cabinetry around the fridge space. The old propane line will need to be removed. You’ll also need to install extra battery packs and an inverter to keep your new fridge running. Then you’ll have to purchase the new refrigerator and get it inside your RV to install it. There are many tutorials and guides available online that can help you through the process if you are confident in your skills. Consult others who have installed domestic fridges in their RVs and learn from them. Only you can decide if the benefit of having a residential fridge will outweigh the costs. When choosing your refrigerator, remember why you want to RV in the first place. What kind of camping do you do most of the time? Keep focused on your goals for owning an RV, and decide if having a residential fridge will help you accomplish those or not. It’s important to know what kind of RVing you enjoy most and be true to that. This will make the decision easier, and help you get on the road to have more adventures. Previous PostHow Much Does It Cost to Transport a Travel Trailer? Next PostHow to Reduce Road Noise in an RV? 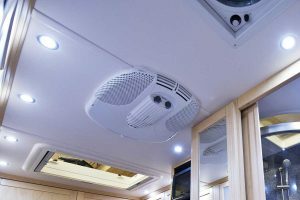 How Does the Air Conditioning System Work in an RV?